WASHINGTON – More than half a dozen U.S. footwear retailers and manufacturers filed for bankruptcy in the past 14 months as they struggled to attract traffic to their physical stores, but brick-and-motor shoe sellers still have a chance to turn around their business, according to retail experts. 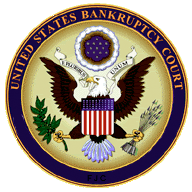 The Rockport Group, LLC is the latest shoe-related company to enter bankruptcy court, following Nine West Holdings Inc., Walking Co., Pinktoe Tarantula Ltd, Shiekh Shoes LLC, Aerosoles Inc. and Payless ShoeSource Inc., which filed in April 2017. “The footwear retailers’ bankruptcy filings reflect a general trend in the retail industry where many retailers have had tremendous challenges and some have been forced out of businesses,” said Jie Zhang, professor of retail management at Robert H. Smith School of Business at the University of Maryland. “Store-based footwear retailers are having a particularly difficult time, as more consumers are switching their purchases from online stores and discount retailers,” Zhang said. She explained that online platforms, such as Amazon, and big-box stores, like TJ Maxx, are able to offer a broad assortment at lower prices than traditional shoe sellers. The comfort footwear maker, which runs Rockport, Aravon and Dunham brands, filed voluntary petitions under Chapter 11 of the U.S. Bankruptcy Code on May 14. Rockport’s Chief Financial Officer Paul Kosturos stated in court filings that the company’s bankruptcy reorganization was a result of “a costly and time-consuming separation” from former owner Adidas Networks, as well as supply-chain interruptions and a contract dispute with its primary logistic provider. Changes in ownership and management in the past 15 years created instability in Rockport’s business, said analyst Beth Goldstein at The NPD Group, a consumer tracking service. Goldstein added that bankrupt shoemaker Rockport has a chance to rebound as the sport leisure market continues to grow and outperforms fashion retailers. Along with the bankruptcy filing, Rockport agreed to sell Charlesbank all of the comfort shoemaker’s global assets in Asia and Europe, and plans to close its North American retail stores. The transaction will continue Rockport’s “deep heritage and great brands” and help the company “be better positioned in today’s evolving retail landscape” by focusing on its global wholesale, independent and e-commerce operations, according to Rockport’s announcement. With the impact of online shoe-shopping platforms and big-box stores, a key lesson for footwear companies is to provide trendy, qualified and innovative shoes, according to Jai. “If you don’t have a good product that your target market will appreciate, no matter how many outlets you have your product in, that is not going to help,” she explained.